Toyota has recorded its best July and strongest January-July sales since the days of the mining boom almost a decade ago, according to official figures released today. Continued buoyant demand across the board for Toyota vehicles has enabled the market leader to deliver more than 17,900 vehicles in July. HiLux and Corolla have achieved the quinella as the top-selling vehicles for the month, lifting Toyota’s market share above 19 per cent for the sixth time in the past 13 months. So far this year, Toyota’s sales have risen six per cent to almost 127,000 deliveries, more than 55,900 vehicles ahead of its closest rival. Toyota’s sales for both July and for the seven months are the highest since 2008 when the long-term market leader achieved an all-time sales record on the back of a fast-growing economy. Last month, Toyota outsold the combined totals of its two nearest competitors, maintaining its momentum after achieving an impressive string of sales records in June. 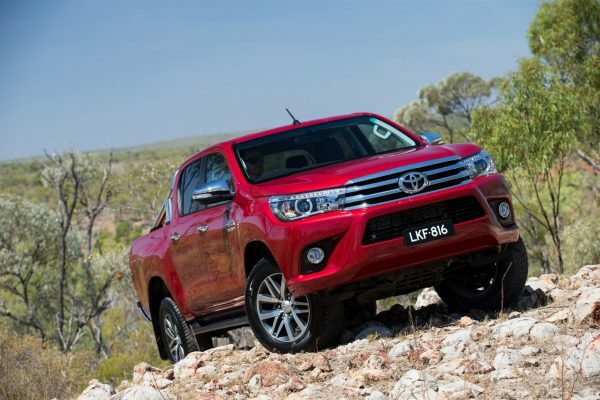 HiLux strengthened its position as Australia’s best-selling vehicle, leading both the 4×4 and 4×2 light-commercial segments in July. A market-best result of more than 3,700 deliveries lifted HiLux to an industry-leading tally of more than 27,100 sales for the year – a HiLux record for the seven months. Corolla, which took second place in July with more than 3,200 sales, extended its lead as the country’s most popular passenger car with a 2017 total in excess of 22,650 hatches and sedans. Demand was particularly strong for Toyota’s commercial-vehicle range in July with combined sales for its range, including HiLux, LandCruiser 70 Series and HiAce, having risen 19.5 per cent compared with the same month last year. Camry is experiencing its best year in a decade with more than 14,000 sales to the end of July and is on track to record its 24th consecutive year as Australia’s best-selling mid-size car. Toyota Australia’s executive director sales and marketing Tony Cramb said the company was able to out-perform the overall market this year due to its broad vehicle line-up, its extensive dealer network and loyal owners. “Toyota’s sales are consistently high because we have well-regarded vehicles in almost every market segment, enabling us to meet consumer preferences no matter where they shift,” Mr Cramb said. “These industry-leading vehicles are backed by a robust chain of dealers accessible throughout the country with more than 270 sales or service locations.